"It's fate. That's what it is. I've always been a great believer in fate." --as Jennifer Whittredge in IN OUR TIME (1944). "The Death of Emily Bronte" (clip) from DEVOTION (1946) by Erich Wolfgang Korngold (a .MP3 file). 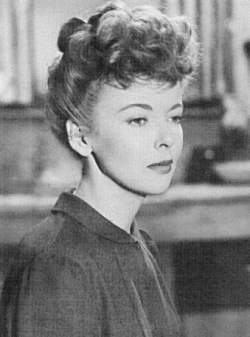 Ida Lupino : A Biography by William Donati (University Press of Kentucky, 1996). Queen of the 'B's edited by Annette Kuhn (Greenwood Publishing Group, 1995). The Women of Warner Brothers: The Lives and Careers of 15 Leading Ladies by Daniel Bubbeo (Jefferson, NC: McFarland & Co., 2002). TVNow's monthly Ida Lupino schedule -when her films will be on TV.